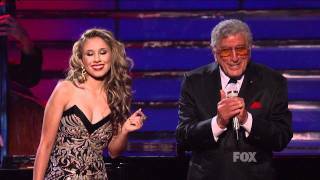 With jazz a great influence in Haley's musical background, performing a duet with Tony Bennett was a perfect match. "Steppin' Out With My Baby" is a popular song written by Irving Berlin and introduced in the 1948 musical film Easter Parade. There it was sung by Fred Astaire as part of a dance number involving Astaire on stairs and three different dance partners. Jun 01, 2011 · Haley Reinhart arrives at the "American Idol Finale" on Wednesday, May 25, in Los Angeles.